“MBONA” hit maker Denno rose to the ranks some time back three years ago after their massive collabo with Daddy Owen rocked the entire nation. Since then Dennis Karanja AKA Denno seemed to have faded away despite his talent, passion and dedication in whatever he loves most. 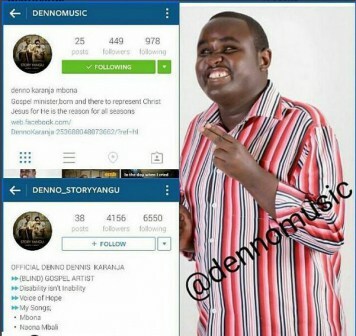 Later last year Denno came to the lime light again with the help of the youthful singer Bahati. 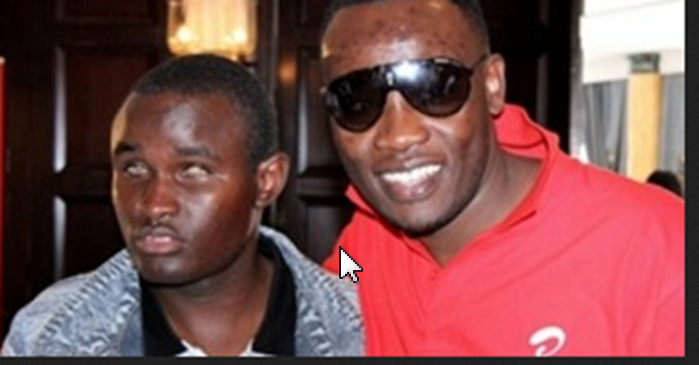 It was alleged that even after Denno did the great collabo with daddy owen, he was not sorted out and appeared like he was just used. Daddy Owen later rubbished the allegations and said that he gave Denno Ksh 1million of which he did not spend wisely. Well away from that. Just like any other celebrity Denno has social media sites which he uses communicate to his fans despite being visually impaired. Denno revealed that he runs his social media accounts through a close friend Alex who regularly posts and updates them in consultation with him.